← Retreat to Move Forward! 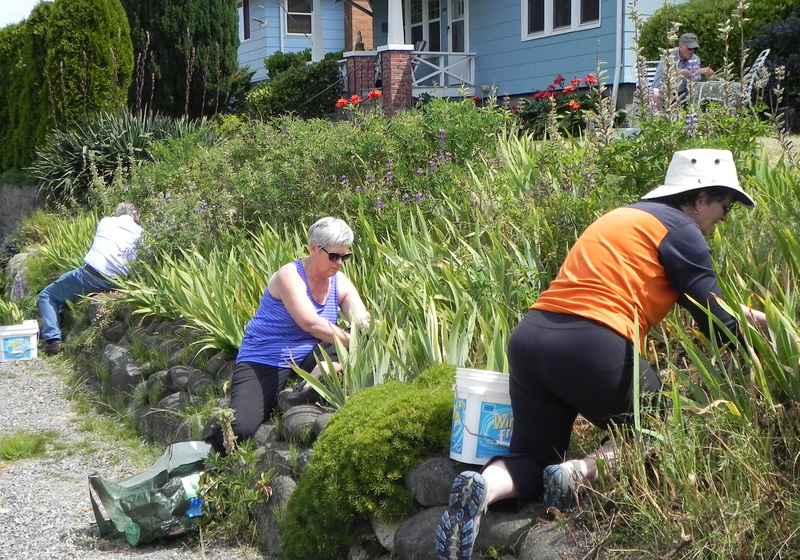 If you’ve never wondered what members of the Puget Sound Book Artists Board of Directors, do on their days off from their PSBA duties, this would be a good time to take note. When we’re not being curatorial, attending board meetings, or like other book artists striving towards noteworthy goals of excellence, we find ways to get dirty, all for the art of the book. I think for most artists each day begins with anticipation. What direction will we take? Should we sketch? Perhaps paint? Work on some illustrations for a new book? Try out a new idea for Coptic binding? Experiment with a new technique? All of the above? Every now and then, we are given the opportunity to break away from the usual and do something entirely different. 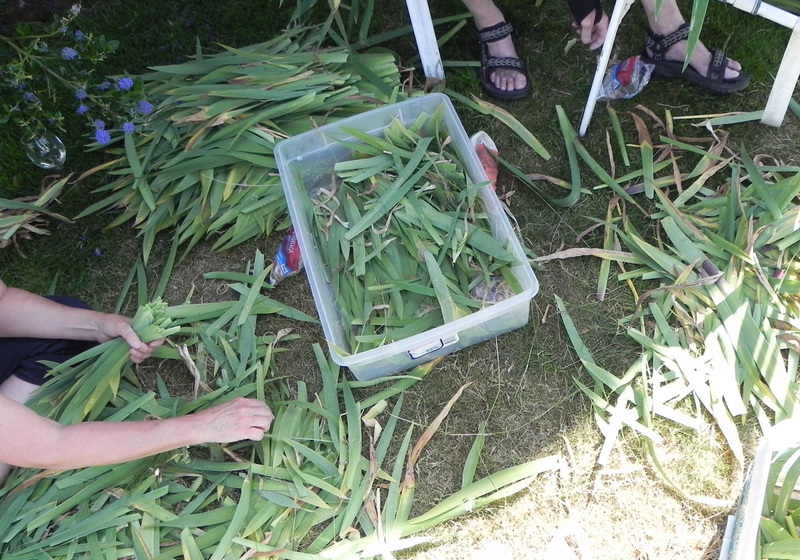 Harvesting iris leaves at Mark Hoppmann’s home with papermakers and fellow book artists Lucia Harrison and Deborah Greenwood along with their significant others , comes to mind. 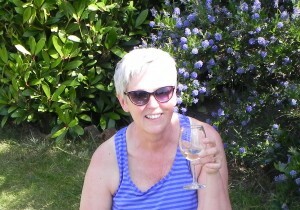 To the almost infinite list of materials needed to create a book, add sunshine, iris leaves to make paper, and a glass of wine (not necessarily in that order). Who knew? Cheers! This entry was posted in Member News, Uncategorized. Bookmark the permalink.